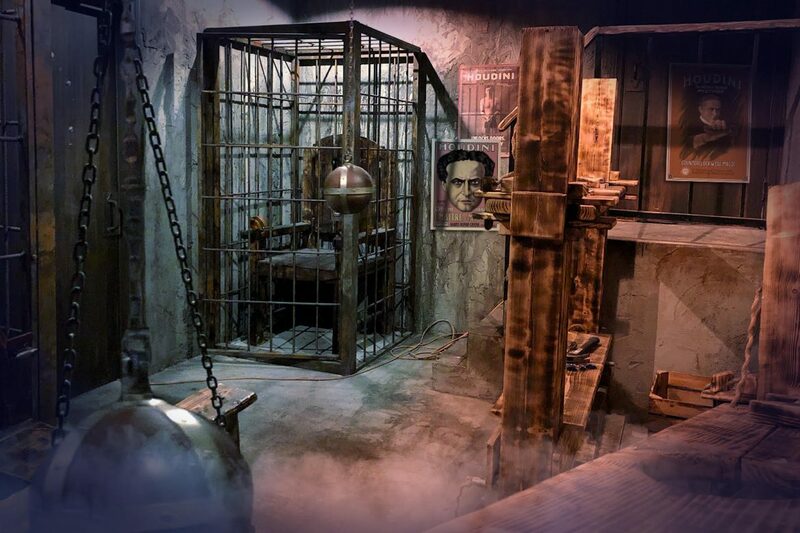 60out Escape Rooms offers over 20 different experiences at 7 locations all over Los Angeles. For mine I heading to the Silver Lake location and grabbed two of my best pals to try it with me. We all were escape room newbies but since we share a love of puzzles and games figured we could work together and win. When we arrived we learned that HOUDINI is actually a deluxe escape room – it’s more detailed, complex and physically demanding than most. But, don’t be intimidated, you don’t need to be an athlete to complete it. Basically, you arrive as candidates of Harry Houdini’s magic academy and must master some of his most famous tricks in order to gain admission…and you only have an hour to do it. Now, I don’t want to give anything away – that would really spoil the fun. And fun it was because over the course of an hour my friends and I were immersed in the world of HOUDINI and remained fully engrossed the entire time. It was challenging but not impossible and very creatively laid out. There were times when we were utterly surprised at our circumstances yet we managed to keep our heads together to figured things out. And figure things out we did as we beat the room with 1.5 minutes to spare! We grabbed lunch afterwards and had a ball going over what we just experienced. We were impressed at each other;s abilities and proud of how well we worked together. We also had a lot of laughs at our shenanigans and agreed it was a really fun experience. HOUDINI was perfect for my first foray into escapes rooms and now I’m totally hooked. With so many rooms on offer from 60out Escape Rooms I’ll have ample opportunity to keep at it.